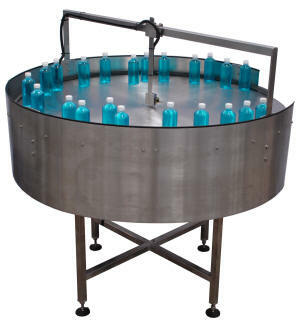 Feeding tables are used for easy and fast feeding of bottles or other similar containers to a filling, labeling or other line. 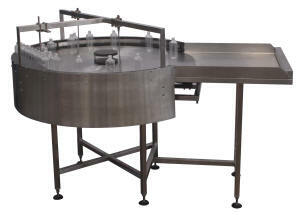 Accumulation tables act as a buffer at the end of a line to enable bottles or similar containers to easily be hand picked for case packing for instance. Feeding and accumulation tables are used connected to a conveyor line.